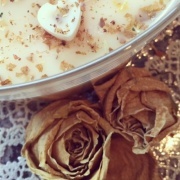 Our bespoke fragrances will fill the air of your home, simply choose from our candles in beautiful tins. 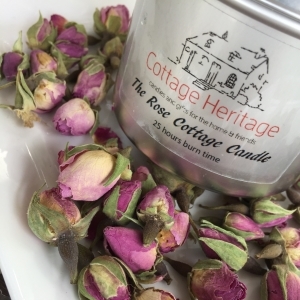 The Cottage Heritage fragrance collection of melts brings together a sensational array of scents igniting memories from around the world. 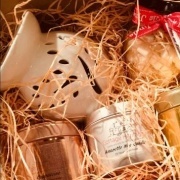 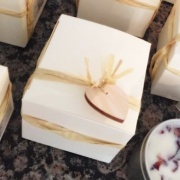 Our very special collections are suitable for the home, as gifts / presents, as wedding favours, special thank yous, corporate gifts and can be shipped throughout the UK and worldwide. 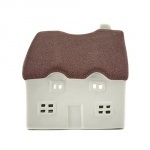 A range of bespoke options are available through our website or please contact us with your requirements. 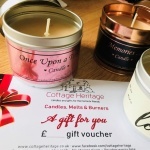 All our candles are handmade and poured in the UK. 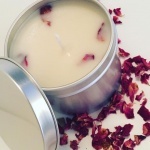 We only use 100% natural soy wax. 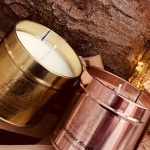 The candles are filled into stylish tins with lids where the candle can be burned safely and the lid replaced to keep the candle looking fresh. 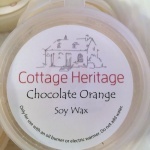 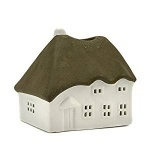 The Cottage Heritage melts are designed to be used in tea light burners or electric burners. 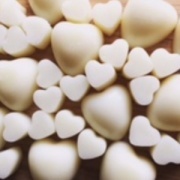 The heart melts are supplied in blister packs and sample pots. 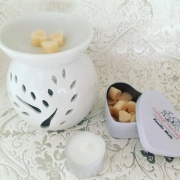 The beauty of melts is that you can completely control the strength of the scent by using fewer or more melts in your burner.